Katakanization, katakana-ization, and sometimes kana-ization, is the process of writing a non-Japanese word with a Japanese alphabet, or rather, a kana syllabary, specially the katakana syllabary. It's what turns, for example, the word "blog," written with the Latin alphabet, into burogu ブログ, written with katakana. Katakanization is used on western loan-words, gairaigo 外来語, wasei-eigo 和製英語, and western names, be it names of real people or names of things like Halloween and Christmas. Because such words are normally katakanized, they're sometimes called katakana-go カタカナ語, "katakana words." Although katakanization may happen with any western word, it often happens with English, so, in Japanese, katakanized words are called katakana eigo カタカナ英語, "katakana English." 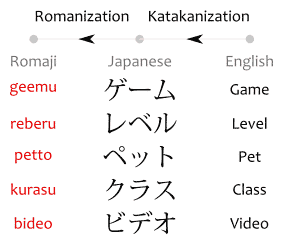 The purpose of katakanization is similar to that of romaji. With romaji, you have an audience that can't read Japanese, and so you try to write the Japanese word with the Latin alphabet. Except that, the pronunciation of romaji is closer to Portuguese than it's to English. So for English speakers romaji doesn't help as much. For its original audience it was more useful. With katakanization, you have an audience that can read Japanese, but can't the pronounce foreign words written with the Latin alphabet, or other foreign alphabets. So such words are localized, and written with katakana instead. It's important to note that Japanese people literally can't pronounce English words. It's physically impossible without practice. It'd make sense to think their vocal range is limited to words that can be written with their language's alphabet. Therefore, katakanization is also the practice of making a foreign word pronounceable for Japanese people. If it's written with kana, they can pronounce it. 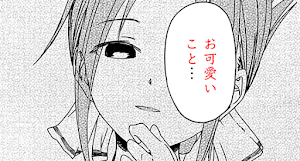 Before I continue, I want to make a warning about romaji. As I have mentioned, romaji wasn't made for English speakers. So you can't pronounce romaji properly if you read romaji like you're reading an English word. If you pronounce romaji properly, you should pronounce it close to what the Japanese word it represents is pronounce. But if you pronounce it wrong, you'll end up reading gaijin 外人 like "gay Jim" or something. So a word like "blog" getting katakanized into ブログ and then romanized into burogu gives the false impression that the pronunciation changed more than it actually has. Note: burogu sounds kinda like blog. Not exactly, sure, it sounds different, but it's still close to how it was in English. Likewise, aisu アイス is pronounced like "ice." The ending is a bit off, but the first syllable, ai, matches the English "i" exactly. Katakanization might sound simple in theory, but it's actually full of quirks and gotchas in practice. The biggest problem with it is that not all sounds can be represented with the kana, so katakanization means words end up getting deformed to fit into the Japanese speech. For example: reberu レベル is the katakanization of "level," simply because the pronunciation of "level" can't be expressed in Japanese kana. The Japanese language does not have any native words with the L or V syllables, only foreign words. So why would there be kana for the L and V syllables? If there are no kana for them, it's impossible to convert exactly the "le" and "ve" sounds in the word "level." The "vel" in "level" is a diphthong, a syllable with two vowels. The Japanese language doesn't have that diphthong. It has some diphthongs, like the compound kana, which are written with the small kana, like the fa in the word fan ファン, the katakanization of English "fan," but it doesn't have all diphthongs the English language has. The best it can do is create an extra syllable: the ru ル. This is why level has two syllables and three vowels, but its katakanization, reberu, has three syllables and three vowels. Sometimes, a same word may be katakanized in multiple, different ways. This can be because the pronunciation of the word varies, for example, there's an American pronunciation and a British pronunciation. This is often the case with names of people. Since the Latin alphabet is also used by French, Italian, Spanish, etc. a name spelled a single way may have dozens of pronunciations. Because of globalization, Japan, Japanese people, and consequently the Japanese language, aren't as secluded as they once were. As foreign, and mainly English, words become absurdly part of their lexicon, it's not unexpected that their culture begins to adapt to this new reality. 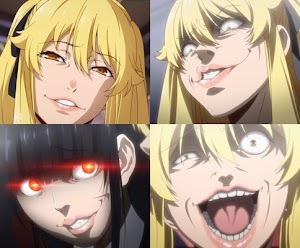 And so katakanization adapts too. In the past, some words were lazily katakanized, because basically nobody spoke English to fact-check anyway, and katakanized words weren't everywhere either, so there were no rules, no reference. Lately, because the awareness of English and katakanization grew, Japanese has become better at katakanizing words. For example. Previously, that villain of that obscure, little-known SF movie, "Darth Vader," had their name katakanized as daasu beidaa ダース・ベイダー, with a be, because that sounded good enough. Now, it's also katakanized daasu veidaa ダース・ヴェイダー with a ve. BUT WAIT?! WHAT?! A VEEEE?"??!?!?!?!?!?!?!? As I have said: there are no native words in the Japanese language that have a V syllable, so why would there be a V kana to represent V syllables? But the usage of foreign words in Japanese has grown so much that a vu ヴ kana is now used for those V sounds. That is, there are still no native Japanese words with vu ヴ, but there are enough loaned words with it that people have become used to it. As you can see, these V words all came to Japan from Hollywood movies, internet, etc. The V-stuff gets popular, the V sounds get recognized. So V is getting used now because it's more correct, it's closer to the original pronunciation of the words. But does that mean all loan-words that came from V sounds are going to get written with vu ヴ now? Well, not exactly. Plenty of words katakanized with B, such as reberu レベル, bideo ビデオ, etc. are too common to change in spelling. People are used to the B syllable versions, so they'll just keep using it that way until the day they die. Likewise, a new word may get katakanized with B instead of V just because people are still more used to B than V. Katakanizing with V is still more correct from a technical point of view, so you'll see more official, authoritative katakanizations done with V. But B is more popular, so you'll see people using B more, specially in wasei-eigo slangs and internet and game words. In some cases, a a katakanized word written with B is homonym with another word, but is not if it's written with a V syllable instead. For example, "vest" and "best" can be katakanized as besuto ベスト. So "best vest" can be besuto besuto ベストベスト, besuto twice. A bit confusing. Luckily, the word "vest" can be katakanized as vesuto ヴェスト, while "best" can't be katakanized that way. So one could disambiguate by writing besuto vesuto ベストヴェスト instead. Ideally, katakanization is based on the pronunciation of the words katakanized. This is how it'd be done officially, at least. But as the ancient internet proverb says: ain't nobody got time for that. So, popularly, katakanization is based on the spelling of the English words alone, instead of their pronunciation. Because, let's be honest here, nobody deserves to go through the gruesome torture that is trying to figure how an English word is supposed to be pronounced based on their spelling. And miskatakanizing words is Socially Acceptable™. —which makes sense if you look at how English words are generally katakanized, however, dariru is pronounced totally differently from the name "Darryl" in English. So he didn't quite feel like dariru was his name. Quite a problem, I'd wager, a situation where people call you by something you don't recognize as your own name. 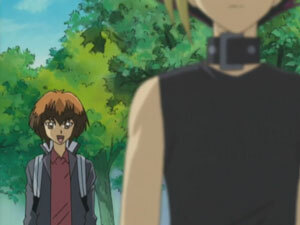 If it were him, he'd katakanize it as dheroo デェロー or daroo ダロー, closer to how his name was pronounced. Fortunately for Darryl, he was able to convince his coworkers to call him tarou 太郎, a male Japanese name. So his story had a happy ending, I guess. Anyway, this story illustrates how Japanese people will katakanize an English word based on the pattern they're used to seeing English words being katakanized, and not based on the actual pronunciation of the word. This is mostly because, if you see an English word written somewhere, like on the internet, and you don't have a fluent English speaker hanging around to consult with, best you can do is guess. If a lot of people guess the same way, it becomes Just The Way It Is™. Nobody questions it, and once katakanized one way, it sticks, so it's hard to get people to katakanize it another, more proper way. 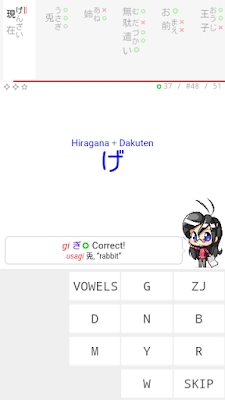 For reference, here's an online English to Katakana converter capable of converting English to katakana based on the word's spelling and pronunciation. Since it probably katakanizes words better than Japanese natives, it's better to check a dictionary first for the common way to katakanize the English word before using the tool. When I said katakanization was like romaji, I wasn't joking. For people, who are Japanese, and are learning English, katakanization and katakanized words work exactly like romaji for people, who are not Japanese, and are learning Japanese. If you have ever tried learning Japanese by listening to Japanese songs with romaji beside for the lyrics, know that you are not alone. Because the world is vast but the people are the same humans everywhere. Western music Japanization Plan - [Turning] Lyrics Toward Katakana. —is one of those lyric websites with translations, except it's a Japanese website and has the katakanized lyrics of English music. 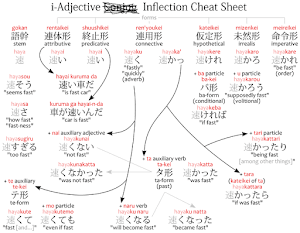 Extremely, precisely, absolutely, exactly, adverbially like romaji, katakanization is often criticized for giving English-as-Second-Language learners unnecessary trouble learning that sweet, sweet English pronunciation. This happens because, when someone is used to the day-to-day katakana words, they may end up relying on them, on how they are pronounced in Japanese, instead of actual English words. For examples, suppose you're Japanese, you see the English word "blog" written somewhere, your mind slips, you're unsure how to pronounce it, you end up saying burogu ブログ instead. This is the kind of problem that can happen. Different in accent, tonal emphasis between words in English and their Japanese katakanizations are pretty common. So it's no exaggeration to say an English person won't get which word you're trying to say if you pronounce it in the Japanese way. Although not the same thing, wasei eigo is also notorious for making literally no sense to English-speakers and frequently alerted about to English learners. So you can see Japanese people have quite a bit of trouble learning English. Wait, 27th? Damn, that's a lot. Should I be making those sorts of posts instead?